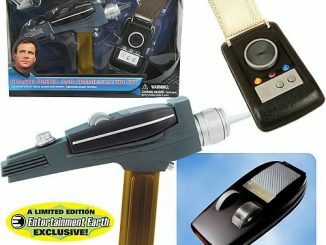 We’ve seen many Star Trek phaser replicas over the years, such as the Motion Picture Phaser Replica, Star Trek III Movie Phaser, Movie Replica Phaser, and The Next Generation Phaser, but now fans of the original series can get this Star Trek Classic Phaser Replica. With authentic detailing, lights, and sound, this is perfect for cosplay, roleplay, or Halloween. 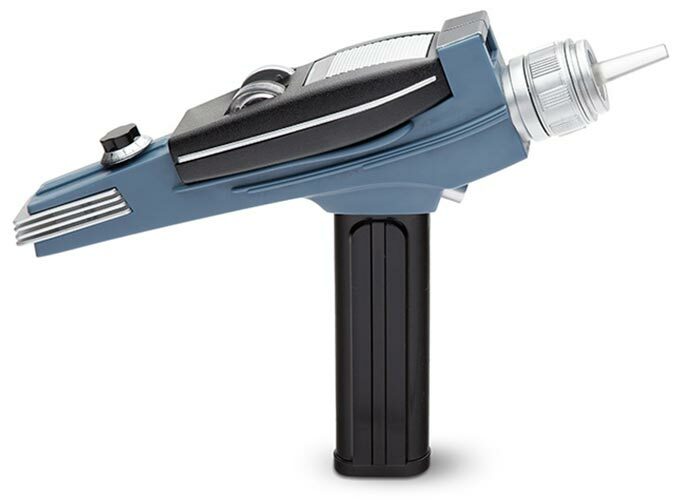 This Star Trek Type II phaser does just about everything you would expect out of a phaser except stun people. 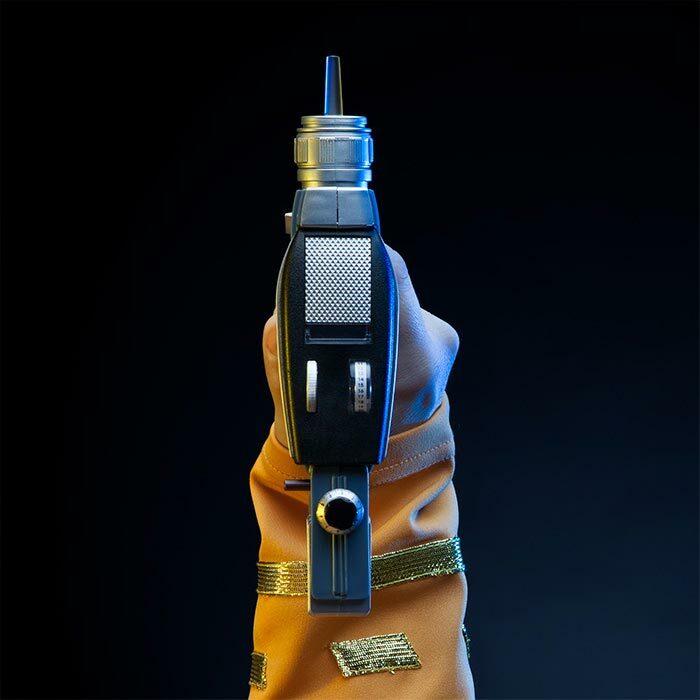 It has a flip up sight and full lights and sounds. 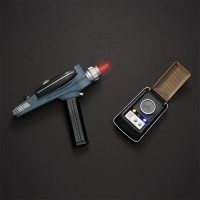 With four power settings, you can choose whether to set your phaser to stun or kill, with each of the settings generating progressively more aggressive sounds and lights. 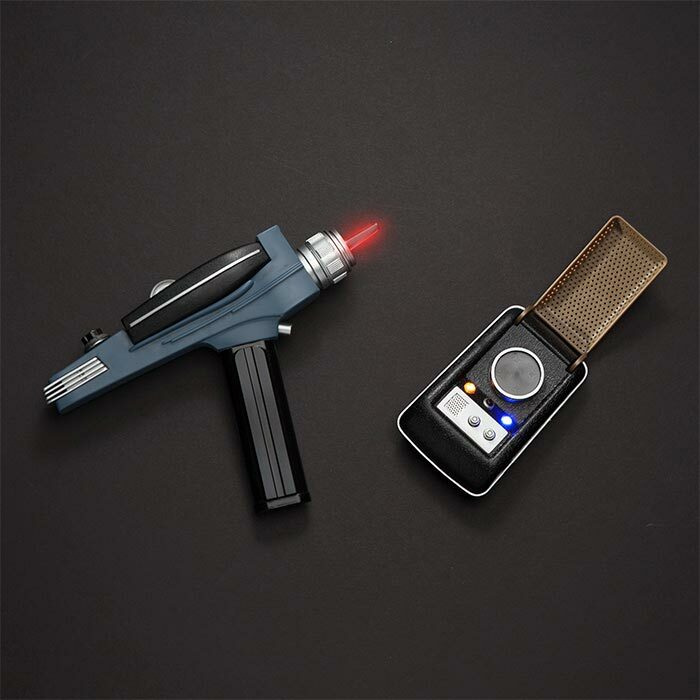 If you’re packing light on your mission, the Type I phaser detaches and still retains lights and sound. 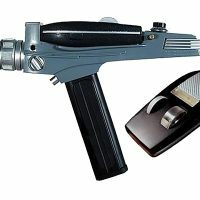 Modeled on actual props for authenticity, this Star Trek The Original Series Phaser Replica from Diamond Select is officially-licensed. 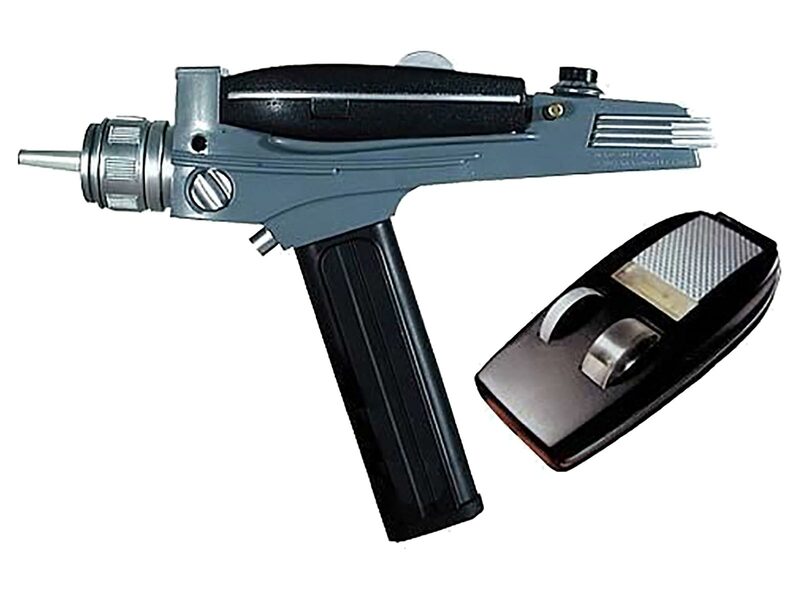 It’s everything you need in a phaser, even batteries are included. 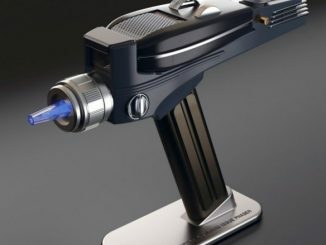 This phaser is “stunning”! 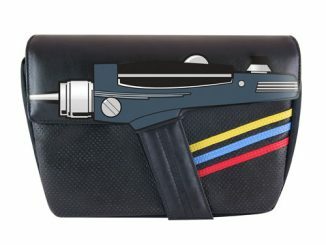 It’s the original 2-in-1 design with detachable mini hand phaser. 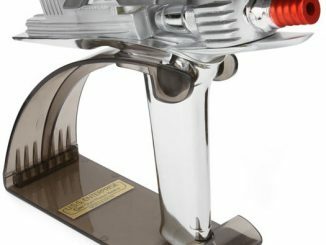 This officially licensed Star Trek series weapon features a Type-1 mini hand phaser that separates from the Type-2 pistol. 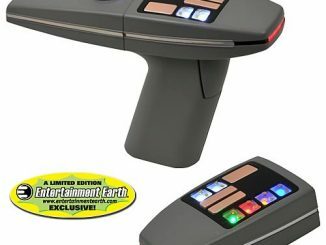 For maximum authenticity, it’s a full-scale reproduction modeled after the initial Star Trek prop. 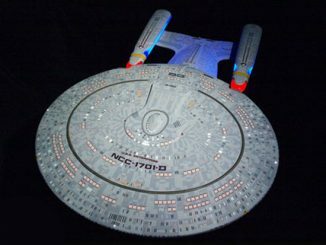 With realistic beam lights, sound effects, and adjustable power settings, this awesome replica is one of our best-selling items. 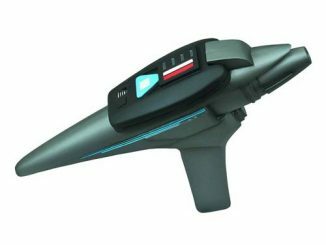 The Phaser runs 3x “AA” batteries. 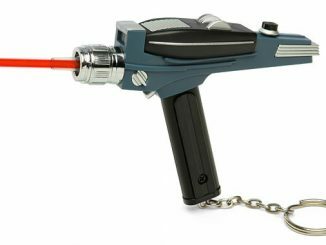 But remember: Always treat phasers as if they were fully loaded with nadions– it’s fun until someone puts an eye out! 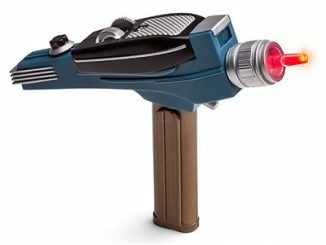 Buy the Star Trek Phaser Replica for $39.99 at ThinkGeek. 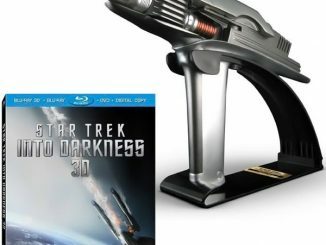 Coming soon to Entertainment Earth and Fun.com. 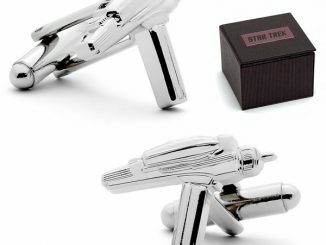 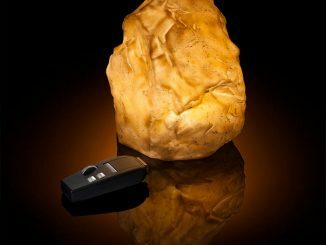 If you like this, also check out the incredible Star Trek Phaser Universal Remote Control.